Celebrity shoulder length wavy hair style with waves. 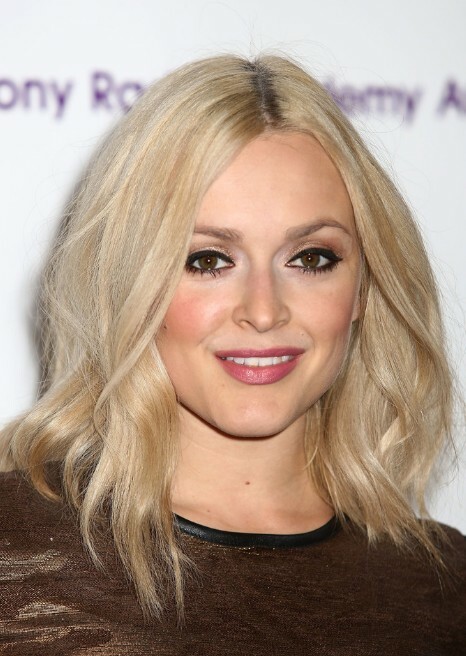 Fearne Cotton looked fab at the 2012 Sony Radio Academy Awards wearing her layered platinum tresses in windswept waves. This casual look is best suited for those who have a kink in their locks looking for a low-fuss hairdo great for everyday wear.